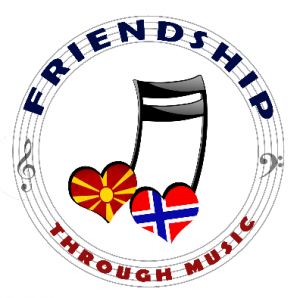 Friendship Through Music (FTM) jobber med Ã¥ bygge vennskap og forstÃ¥else mellom unge i Norge og Makedonia, og bruker musikk og samspill til Ã¥ styrke og stimulere til musikalsk utvikling, respekt og vennskap. FTM er en forening med et styre i Norge bestÃ¥ende av fem medlemmer. Foreningen har en koordinator(Executive Manager) i Makedonia, som styrer dagig drift i samarbeid med et lÃ¦rerteam. Det makedonke teamet driver en musikkskole for barn og unge i landsbyen Shutka, i samarbeid med Fileo. FTM har ogsÃ¥ samarbeid og utveksling med makedonske universiteter og utdanningsinstitusjoner, og holder et felles konsert- og seminarprosjekt i Makedonia hver sommer. FTM was founded May 2011 to take care of the ongoing and developing projects with Norwegian and Macedonian teachers, students and friends. Since 2005 we have done many projects together, especially in the summer. In December 2011 we started Shutka Brass, a music school for kids from the roma community in SHutka, outside of Skopje. Sissel GrÃ¸ndahl is often guesting professor at Ilija Nikolovski Luj Music high school in Skopje, teaching horns, chamber music, and doing seminars of Intonation and more. All the time we keeo good contact With the macedonian professors and students, to encourage and work together, building friendship and playing togehter. – where young people in Norway and Macedonia playing together, building friendship and understanding. Respect, listening, open communication, and cultural sensitivity. Projects with a purpose,Â that are well planned and evaluated, orderly, with transparency in finances. Quality throughout the project: preparation, repertoire, performers, production and performances. Friendship: respect and openness to each other’s culture, religion, politics, and identity; besides education, ambitions and other parameters. Together we are strong and visible. Together we can create change for the better. Together we can strengthen each other’s identity and uniqueness. Together we can create confidence and joy. Together we can show that we can live in peace and build the country.